Arrival in Israel; Mass on Shore of Galilee! Everyone arrived in the Tel Aviv Airport safely and ready to go. We’re all excited for another excellent pilgrimage following our Lord and Lady. 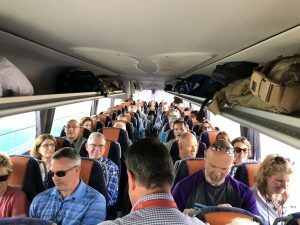 Enjoy our arrival, trip up to Tiberias and Mass and the Sea of Galilee. Very appropriate first Mass to open a Pilgrimage HERE. Previous post: I’m excited to share Daily Catholic Wisdom with you!